February 1 through 7 is National Women’s Heart Week. The goal of this week is to promote prevention and education, encourage early intervention, and spread awareness of symptoms of heart problems. Heart disease remains the leading cause of death for American women aged 34 and older. During Women’s Heart Week, hospitals are encouraged to offer free heart screenings to women and on February 1, and people are encouraged to wear red to amplify the message about women’s heart health. Also, February 10-16 is National Cardiac Rehabilitation Week. This effort, initiated by the American Association of Cardiovascular and Pulmonary Rehabilitation (AACVPR), seeks to draw attention to the role of cardiac rehabilitation in reducing the potentially devastating effects of heart disease and improving the quality of life for patients and families. 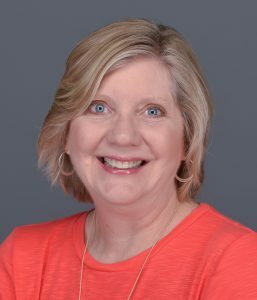 Cardiovascular nursing is the research interest of Donna Garrett, assistant professor of nursing and chair of the department. She looks specifically at the needs of patients with coronary artery disease and their ability to engage in self-care. She was the co-author of an article on recognizing and responding to symptoms of heart attacks and stroke in women that was published in the Journal for Gynecologic and Neonatal Nursing. Garrett was a clinical nurse specialist in cardiovascular service lines in Grand Rapids, Michigan, and Cincinnati, Ohio, as well as a staff nurse in both surgical and medical intensive care units prior to teaching at Hope.